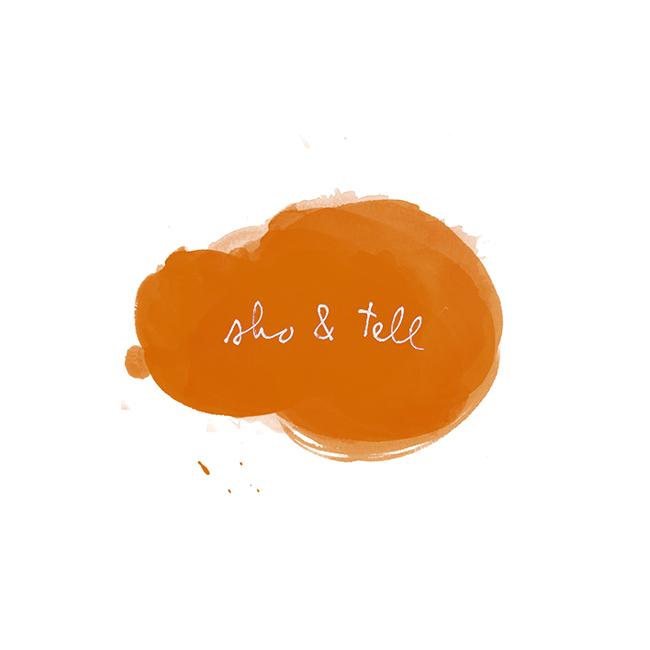 sho and tell: POV: Changes. A few nights into the new year, a group of friends came over and we baked macaroons while a snow storm brewed. When the cookies were done, we drizzled them in chocolate, drank cups of whiskey, and climbed the stairs to the roof where we lay on frozen chaise lounges and turned cartwheels in the snow. Across the street, people turned their lights on and watched us through their windows. We waved. A few waved back. One couple started jumping on their bed. “This is the best start to the year ever,” someone said, and we all agreed. Days later, three friends were jobless, two had ended relationships, nearly all of us were sick, and the city had been plunged into the icy depths of something called a polar vortex. I looked at Megan from across the table at our favorite coffee shop. “Now what?” I said. This time last year, I had lunch with a friend who’s several years younger and the owner of his own successful design company. “Have you made any resolutions for the new year?” he asked. He nodded, and went on to list his goals for 2013, both business and personal, by the quarter. I listened and smiled and chewed and felt smaller. When I was younger, I'd start each year with a long list of very specific resolutions. Many, or most, would never come to fruition. Life - friendships, relationships, work, weather - would invariably get in the way, and over time, my inability to follow through on my goals made me wary of putting a timeline on anything. But without a schedule, I often feel lost, overwhelmed. I wonder: is there a middle ground between adhering to a quarterly timetable, and leaving room in life for surprise and mystery and adventure? "I've had a revelation," Lily said the other day, emerging from her bedroom. "Everything that I don't like about my life is the result of something that I can change." She said this with a smile and arms outstretched, and we laughed because it sounded so obvious. But, for whatever reason, it also seemed like a novel concept, this idea that things don't always just happen to us. While I'm starting 2014 with a few concrete resolutions in place, I've decided that my first - and biggest - hope for the new year is to make change, and keep changing. To keep embracing discomfort. To keep moving, even if that movement is flailing. Earlier this week, I went for a walk in the snow. It was sixteen degrees. The sun was setting. Powder rose in clouds from the rooftops, and glittered in the trees. I'd been inside all day, and for a moment, the frigid air was restorative, invigorating. A half hour later, though, it was dark and my face was numb. I'd reached Greenpoint. I felt far from home but I kept going. I'd freeze otherwise. You can find my previous POV entries, here, and the archive for my personal essay column on the Equals Record, here. Thank you so much for reading! Photo via my Instagram.